The leaves are changing colour and falling one by one and our winter clothes are slowly making their way back into our closets. We as Canadians brace ourselves for the cold months to come, but are we taking the appropriate measures to protect our skin? As the weather chills, our skin starts to dry and denude the once hydrated and sun kissed glow from basking in the warm sun. The moisture and essential oils rich in our skin subsides, and an uncomfortable dryness plagues our skin, resulting in flaking, cracking, and in some cases, eczema. Moisturizing your skin is essential in the winter months. Find an oil based moisturizer rather than a water based one that can infuse the essential oils back into your dermis layer, and ensure that the moisturizer you purchase is specifically for the face. Consider using night creams as most tend to be oil-based in formula. It is an absolute myth that sunscreen is only essential in the sunny months. In fact, the winter sun, in conjunction with the snow glare, can be just as damaging to your skin. Consider a broad-spectrum sunscreen, SPF 30 and over. You can also consider purchasing a moisturizer infused with SPF. At the Art of Facial Rejuvenation, we offer a variety of moisturizers and sunscreens from our renowned Dermologica brand. Protecting your skin from the sun is essential in minimizing the appearance and development of fine lines and wrinkles that age the skin. The central heating systems in most homes tend to dry the skin in the winter months because they blow hot air into your surroundings. Humidifiers return the moisture back into the air which helps alleviate the dryness to your skin and helps you breathe and sleep better at night. We get it. Nothing is more satisfying than indulging yourself in a superhot bath after returning home from an icy cold day. However, bathing in intense heat actually breaks down the lipid barriers in your skin, and strips it from the moisture and oils that keep it glowing and rejuvenated. Try bathing in lukewarm water and keeping your showers to shorter intervals. In the winter months, try to indulge in foods that are high in Vitamin C and Zinc to promote and maintain your body’s production of elastin and collagen. Try to consume foods that are high in water content, like watermelon, celery, tomatoes, apples that hydrate your body inside and out. 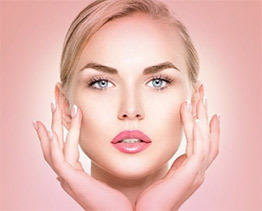 At the Art of Facial Rejuvenation, we have a team of highly specialized medical professionals that are pioneers in beauty, health and providing you with the best version of yourself. If you would like to take a further step in maintaining your skin in the winter months, give us a visit and we can introduce you to our array of non-surgical services and pampering treatments that will ease your winter blues.